Beachfront gated exclusive complex with 24 hours security and concierge service, well maintained communal tropical gardens and outdoor swimming-pool. 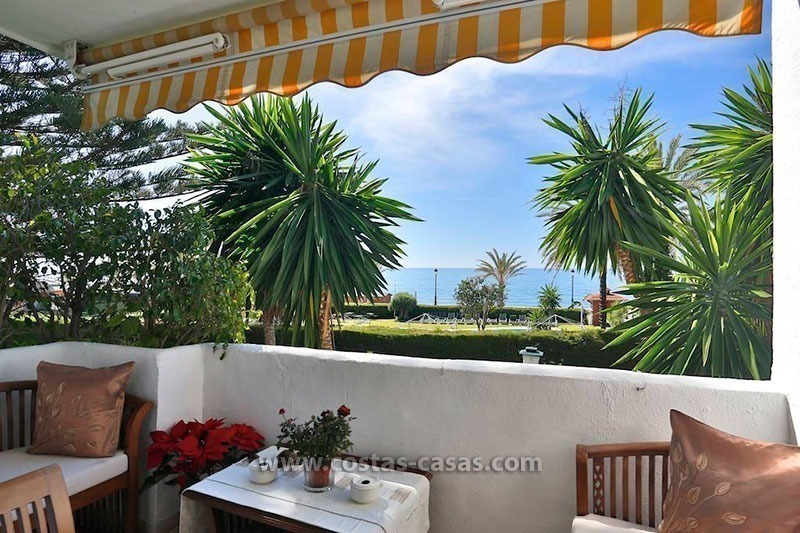 Only a few minutes drive to different golf courses, shopping centre, supermarkets, bars, restaurants and Puerto Banus. The penthouse has views to the gardens, pool and the sea. South facing. Sun all day. Main bedroom with bath en-suite and direct access to the main terrace. Fully fitted kitchen with Siemens appliances.